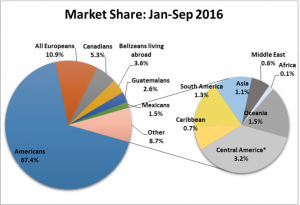 Belize City, October 11, 2016 – For fifteen (15) consecutive months from June 2015 to September 2016, the Tourism Industry has been experiencing record breaking increases in overnight arrivals every month, with impressive double digit increases of as much as 33% growth. 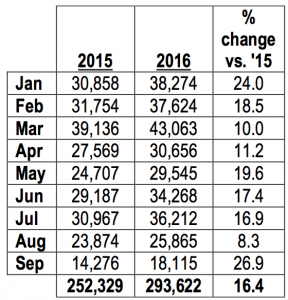 We are now nine (9) months through 2016 and the tourism arrival figures continue to show this upward trend, closing off this third quarter with an incredible 26.9% increase for the month September 2016 over September 2015. 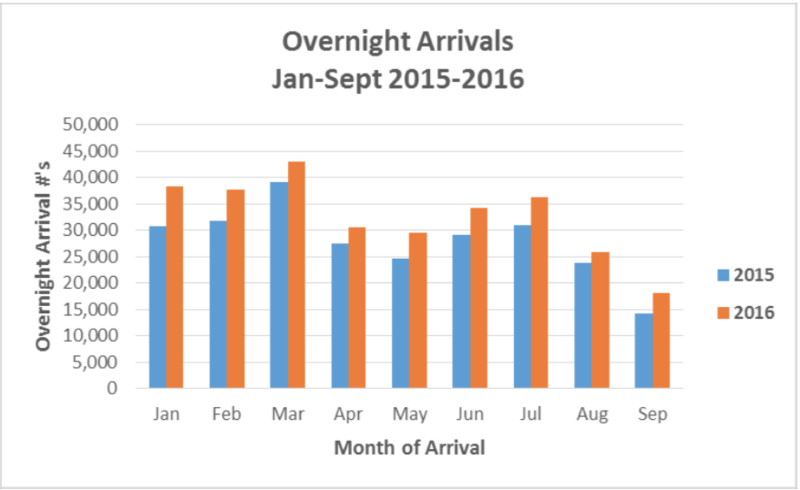 Overall, the first nine months of 2016 recorded a total of 293,622 overnight arrivals, a 16.4% increase over the same nine months of 2015, which had 252,329 overnight arrivals. 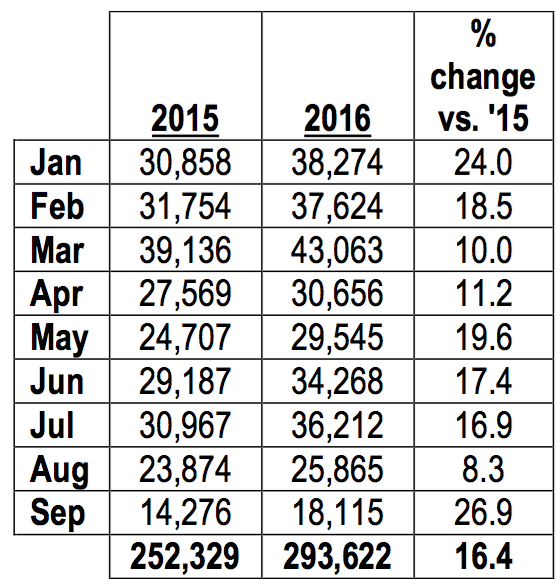 Cruise arrivals resulted in 54,569 passengers for September 2016, representing a 20.6% increase over September 2015. Overall, Cruise passenger arrivals recorded a moderate 1.3% increase for the first nine months of 2016, despite having 12 fewer cruise vessels arriving in Belize, inclusive of cruise calls cancelled due to Hurricane Earl. 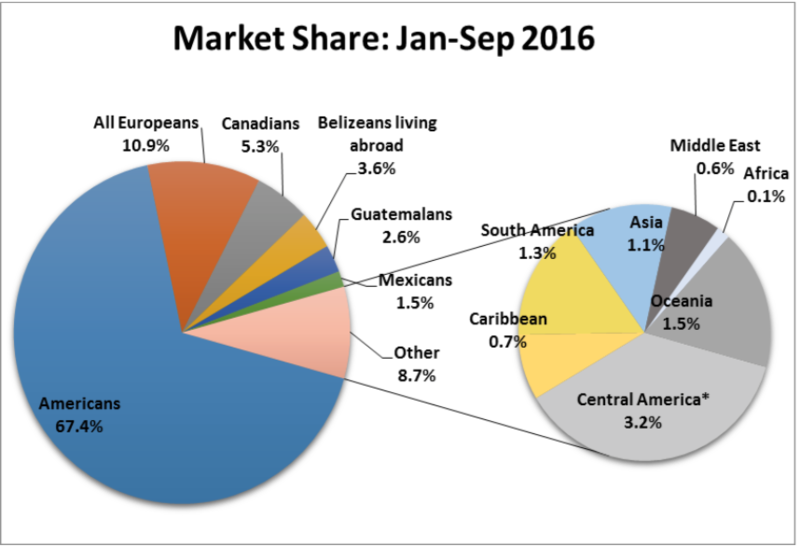 The U.S. continues to be our largest market with 67.4% of the market share, followed by Europe and Canada, respectively. We look forward to more increases for the remainder of 2016, especially as we welcome WestJet Airlines on October 29th with direct flights between Toronto and Belize.